Chris Conway, NOVA Panama City Beach, had the floor at the ASCE Tallahassee Chapter Meeting. 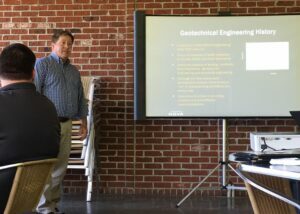 The hour was spent discussing Geotechnical Engineering Services for the design and construction industries. Looking good Chris!